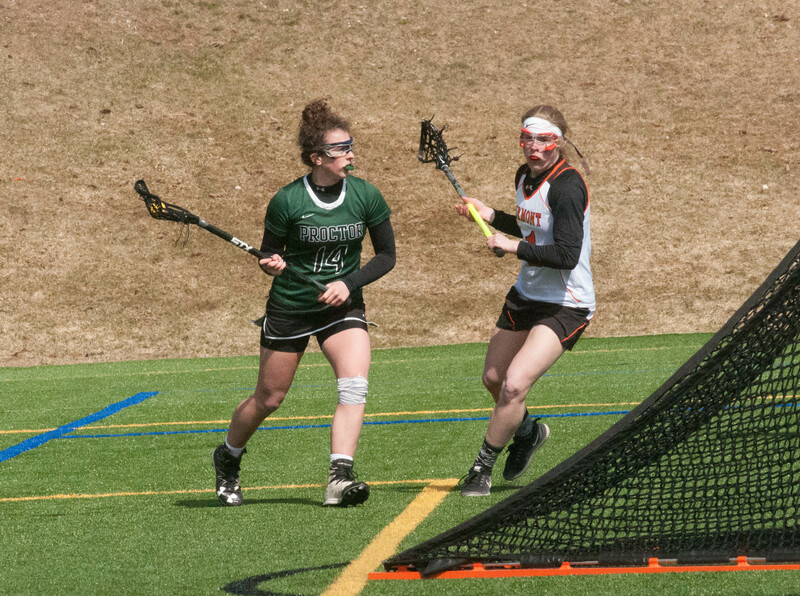 With more than a half dozen alumni competing at the collegiate level, Proctor’s girls’ varsity lacrosse program has consistently produced athletes who understand the physical and mental components of the game. During a spring season that has seen more practice days with snow than sun, that mental fortitude has been incredibly important. Coming off three straight losses, the girls look to rebound today when they host Hebron Academy at 4:30 PM on Farrell Field. Each season at the high school level brings with it the challenge of graduating leaders and welcoming new players into the fold. 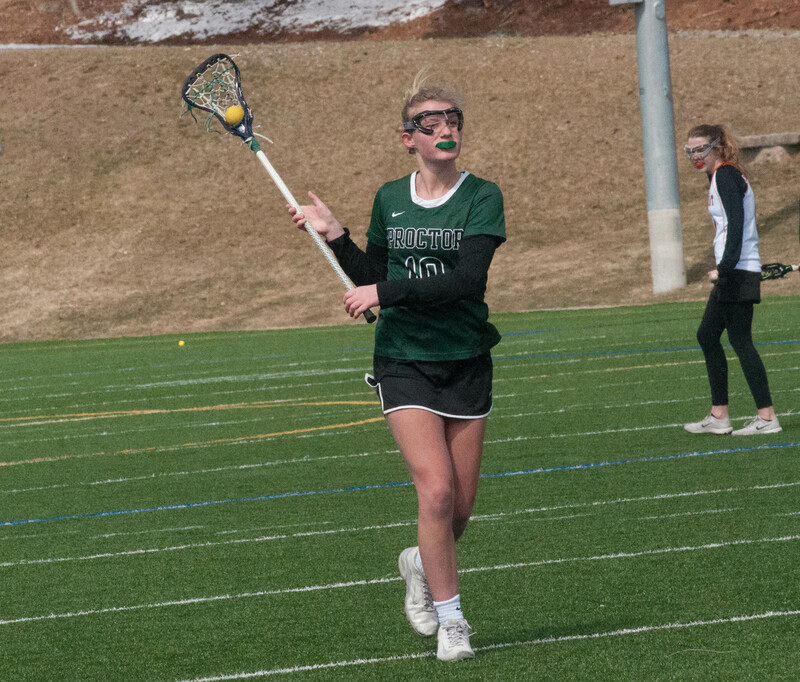 In the case of the girls’ varsity lacrosse team, a new head coach, Kayla Wagner, adds to the inevitable transitions from one season to the next. Coming off a 10-6 2017 campaign, the girls are looking to improve on their 1-3 start during the final five weeks of the term. 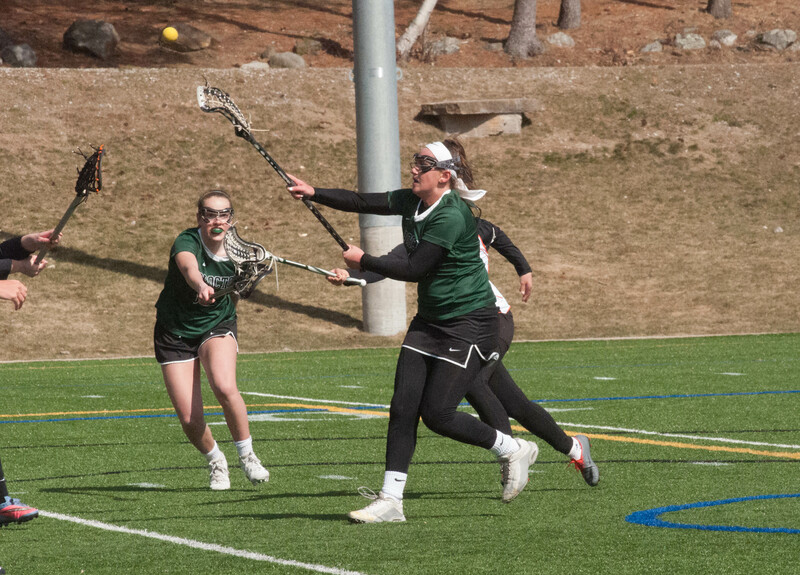 Tricaptains Mikala Eacrett ‘19 (Sacred Heart University - women’s lacrosse commit), Mackenzie Mallet ‘18, and Lulu Larkin ‘19 share thoughts on their team, their Spring Training trip, and goals for the season ahead in this week’s team spotlight! Describe your team's culture this year? Who has stepped into new roles for your team? 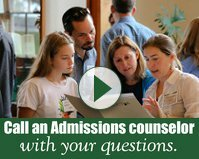 Mikala ‘19: There are many new roles on our team. Losing most our defense has been hard, but we have been developing a lot over the past few weeks. Last game, against Brewster, we were able to really come together and began to talk and help each other much more than we did during our first few games. Having Kayla as a coach has been great and it is awesome to hear a new perspective on the game. We have focused on developing skills, working as a team, and always being able to run harder than our opponents! Lulu ‘19: After graduating two seniors who played huge roles on the team last year and having several other current seniors studying off campus on Mountain Classroom and European Art Classroom this spring, our remaining upperclassmen have developed a vision for the team and have shown the freshman and sophomores what kind of team we are. As leaders, we want to always make sure everyone feels welcomed and included. This year, we have come out for every practice with giggles and laughter, but get down to the grind after warm up. We are a fierce, hardworking team who has great drive and wants to win. Kayla is a great coach who has helped the girls understand the game of lacrosse better and has clearly expressed what kind of team we need to be. How do you feel your spring break trip helps you prepare for the season ahead? Mikala ‘19: The spring break trip allowed us to start the season a few days early and form some bonds! We were able to have a few scrimmages and really get the rust out before the season. 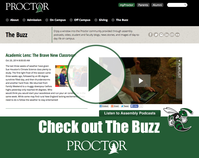 Lulu ‘19: The spring preseason trip this past March gave us a great jump on the season. Going into Nevada, many of the girls showed up not knowing everybody, but after only one night, we were on our way to forming a solid bond. Though, we all were sore and tired, a smile never left our face. We would spend every minute together, whether relaxing outside between practice times, or staying up late talking in our hotel rooms. I got to know so many girls I had not known before and I can’t wait to go back next year! What have you been pleased with in terms of execution and effort during your first few games? Mikala ‘19: This season has been full of adversity with weather, but the team has been relentless in handling it. The effort is always there, and it is good to know that the team always has your back no matter what is happening around you. Lulu ‘19: In reflecting on the first few games, I am very pleased with the way we held our ground. We may not have won every game, but we have had some amazing highlights that we can capitalize on to move us forward as a team. After only a few games, we have grown so much, and I can’t wait to see what we accomplish by the end of the season. If we put all the highlights together, in one game, we will be unstoppable. Mackenzie ‘18: During our first few games, the one thing we can always count on from each other is that our effort will absolutely be there 100%, which to me is the greatest thing you can ask for from your teammates. We're beginning to really connect and understand how one another plays on the field which will carry over into our zone defense, offensive plays, transitions etc. As you move into the heart of your league schedule, what do you believe will be the most important areas for you to improve? Mikala ‘19: As we get to the toughest games in our schedule, it is important we continue to work together and trust one another. There is no doubt in my mind we can come up with wins against the tough teams, but we know nothing will come easily in the Lakes Region. Lulu ‘19: As we progress in the season and look at the league schedule, I believe the primary thing we have to work on is confidence in ourselves. We can throw, we can catch, and we have some very fast runners who can move the ball up the field effectively. If we believe in ourselves, we will go very far. 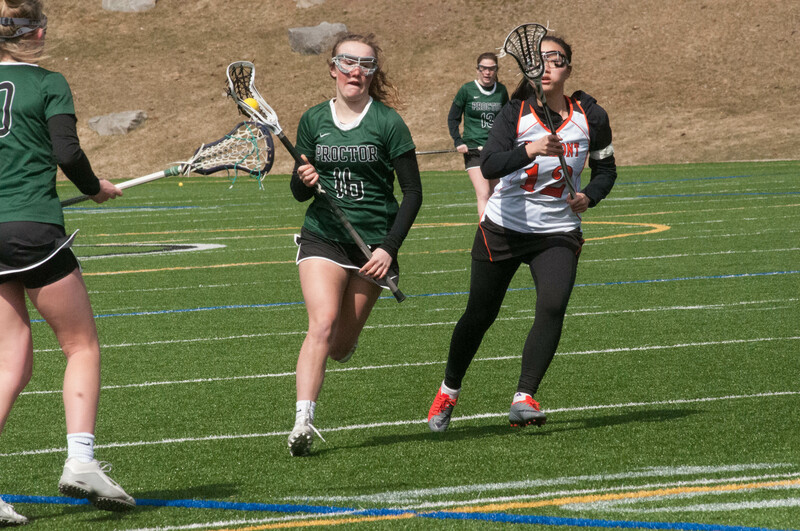 Mackenzie ‘18: Effort and chemistry are leading to great success, but to defeat some of these top teams like New Hampton and Brewster, it's going to come down to the little things; good passes, catching passes, ground balls, and draws. Although they may seem insignificant, those aspects of the game are what will win us games.